The final step in the sign-up procedure is to set some goals for yourself, in which you specify how you think you can achieve your targets. 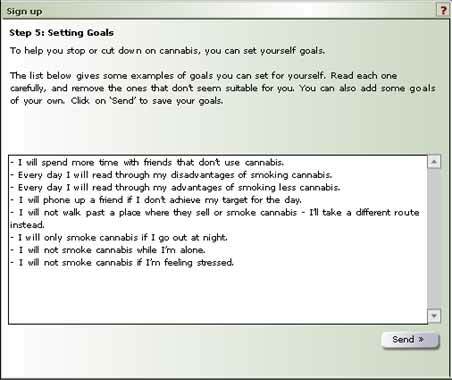 The website suggests some examples of ‘goals’ that can give you a better chance of success. After completing step 5, you are fully signed up. From then on you can log into and out of the website any time you like.